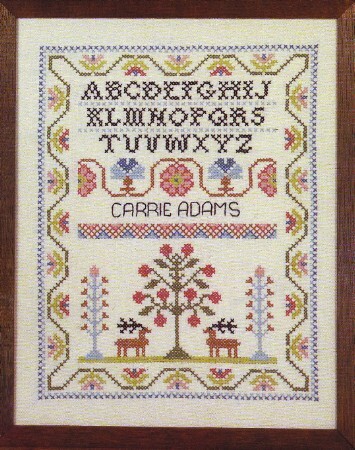 This cross stitch printed craft kit has all the features of past era samplers. Deer waiting for the first move ,motif trees,stitches of various colors and a beautiful border. This cross stitch stamped sampler is well balanced in design and there is space to personalize this cross stitch craft kit.